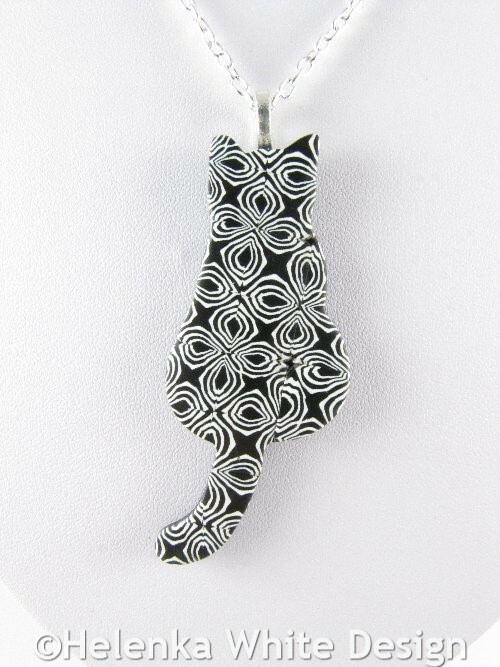 If you love cats and the colour black, you might like this cute sitting cat pendant in black and white. 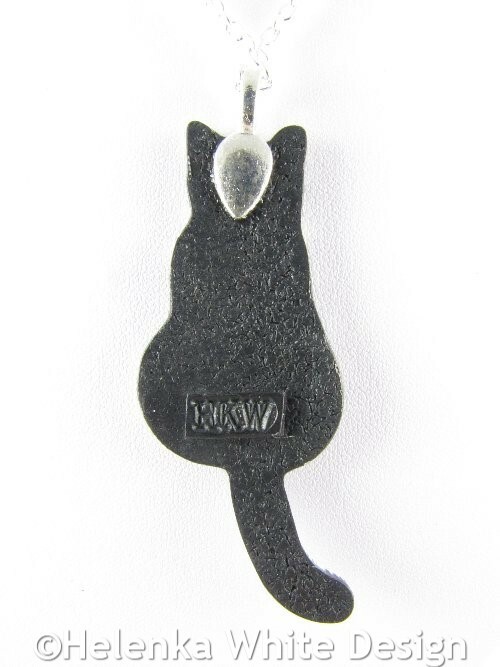 It is handcrafted with black and white polymer clay. The black textured back has my signature attached to it. 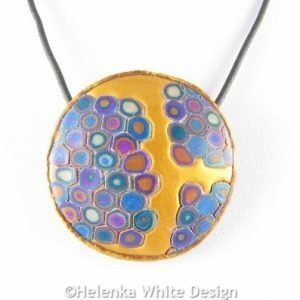 The pendant has been hand sanded and polished. 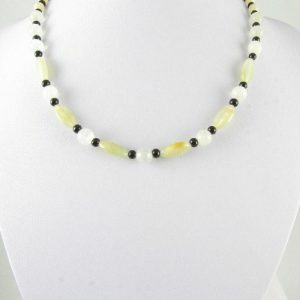 It hangs on a silver plated chain which closes with a lobster clasp. 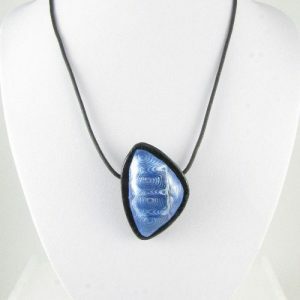 Length: The chain measures 18inches (45cm). 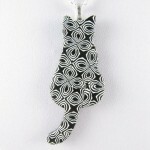 1 cat pendant of this kind is available. 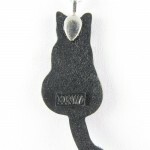 However you can find more cat pendants in similar designs in the shop. 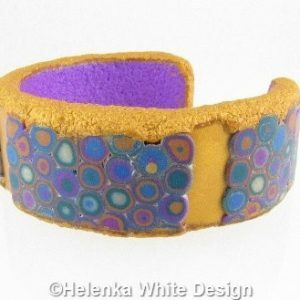 Gold and purple Klimt bangle – handcrafted with polymer clay in gold, purple and various other colours. The bangle has an aluminium core. 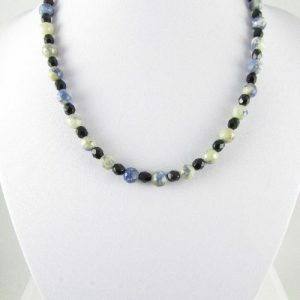 Beautiful necklace with faceted Sodalite beads, glass beads and fire polished Czech beads. The necklace closes with a Sterling silver lobster clasp. 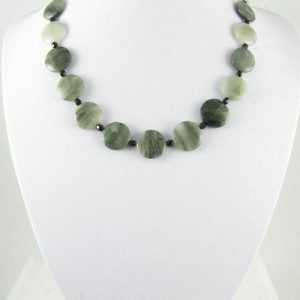 Necklace with green round and oval Onyx beads and black glass beads. It closes with a Sterling silver lobster clasp. 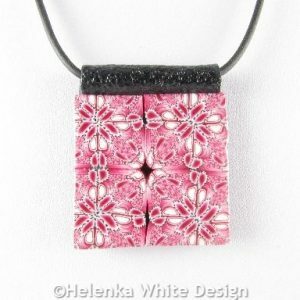 Square pink Kaleidoscope pendant – handcrafted with black, white and pink polymer clay. 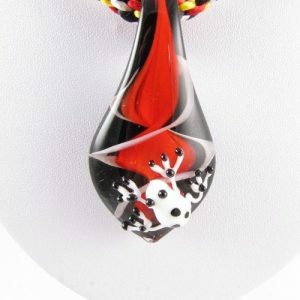 The pendant hangs on a buna cord, which closes with a silver plated lobster clasp.